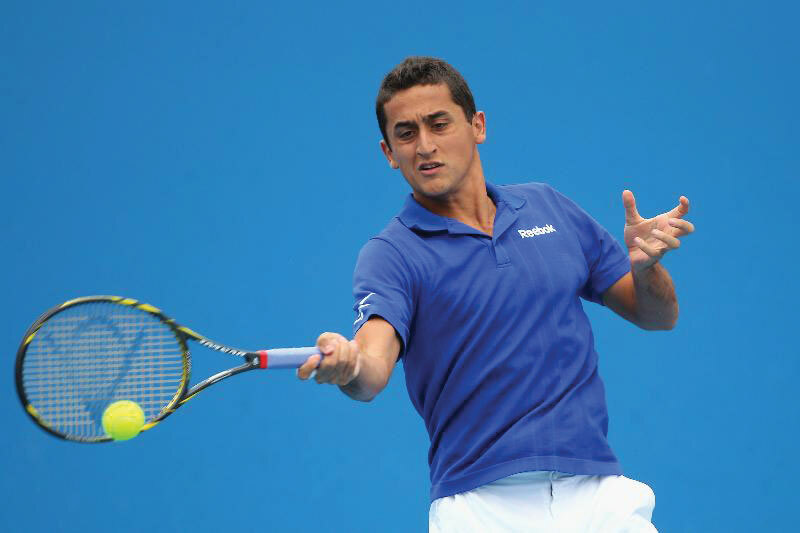 Nicolas Almagro completed a stellar week of play today in Nice, winning the Open de Nice Cote d’Azur title for the second year running. Nico dropped nary a set en route to the title, taking out American Brian Baker today in the final 6-3, 6-2 in 70 minutes. Almagro hit those serves and forehands with his Dunlop Biomimetic 500 Tour racquet, which he’s carried since 2011. The Spaniard, currently 14th in Champions Race, heads into the French Open looking to improve on his quarterfinal finishes in 2008 and 2010.